What a gloomy day.. looks like it's going to rain. Saw my brother up on our garage's roof catching some insects. Why? 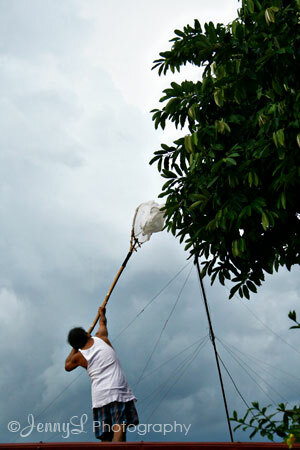 Like I told you before his son is taking macro shot of insects for his thesis in his photography class in UST. A very tedious project that he needs to pass. Almost everyday we are in the look out for different kinds of insects from grasshoppers, butterflies, bugs.. etc. Take note ,there are times that we free the insects so that they will go back in nature and live again.